1 deck. Easy. Unlimited redeals. 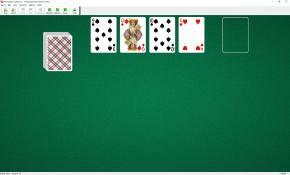 Perpetual Motion Solitaire uses one deck (52 cards). You have one foundation, and 4 tableau piles. To discard all cards from tableau piles to the foundation. Four cards are dealt, one on each pile from the stock pile. The top card of each pile is available for play. If two or more cards on different tableaus have the same rank, they are moved to the leftmost of the equal cards. If four cards in a row are of the same rank, they are immediately discarded to the foundation pile. 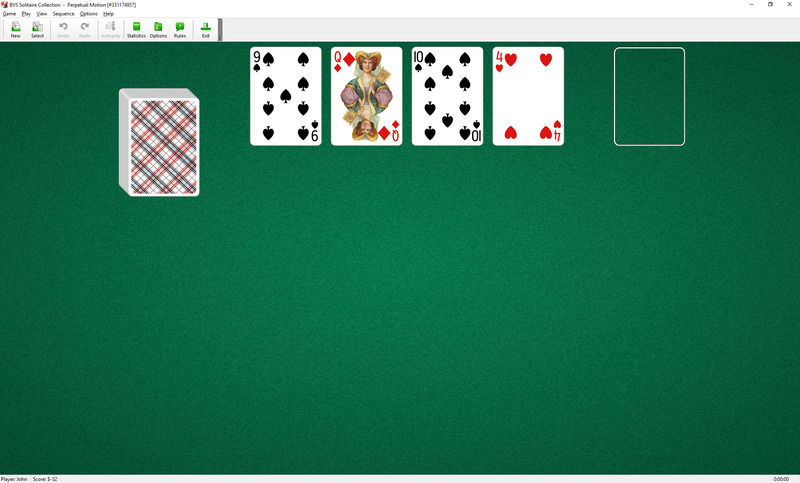 When you have made all the moves initially available, click on the stock pile to deal the next four cards onto the tableau piles. When the stock pile is empty, click on the ReDeal button to restack cards. The game is won if you discard the entire deck.